While the producers of English sparkling wine have been debating about a suitable brand name for their increasingly-popular product, the Americans have already chosen a term – and it may become protected. At the UKVA’s reception and dinner in London last night, Sam Lindo, who is chairman of the association, said that he believed consumers should decide on what to call sparkling wine from England, rather than the trade selecting a name, and then trying to get others to adopt it. Continuing, he said that one New York outlet had already coined it’s own term – ‘British Fizz’ – and, he added, it’s this brand name that English wine producers should consider using. Later on in the evening, during a discussion with the drinks business, Sam’s father, Bob Lindo, who founded Camel Valley in Cornwall, said that he was now working on registering the term British Fizz as a protected designation of origin (PDO). He added that he knew exactly what to do, pointing out that he has already written the necessary documentation for obtaining a PDO, having secured the UK’s only PDO for a single vineyard, with ‘Darnibole’ – which is now an officially recognised name for a plot planted with Bacchus on the Camel Valley estate. Although he said that he was compiling the PDO documentation, he said that he would pass on the forms to the UKVA to register the terms. He also said that he thought that British Fizz should be adopted for sparkling wine made from grapes grown anywhere in Great Britain, using any grape variety approved by the OIV, and that the term should be used only for sparkling wine made in the ‘traditional method’, where the second fermentation occurs in the bottle. 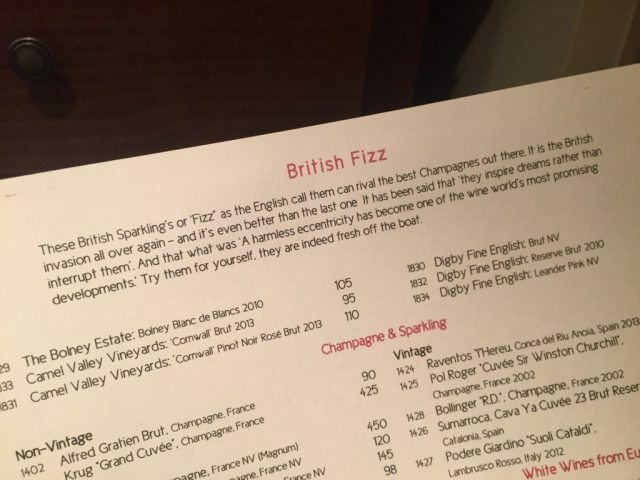 The term ‘British Fizz’ first featured on Twitter on 5 January in a picture posted by The British Bottle Company, which captured the drinks list at the Jones Wood pub in New York city, which carries sparkling wine from English producers Bolney Estate, Camel Valley and Digby (see image above). Responding to the tweet, Sam Lindo said, “There you have it, it’s called British Fizz”. For the past five years there have been mounting calls for producers of English sparkling wine to select and register a brand name for their product, in the same way that Spain has Cava and France has Champagne. Suggestions from winemakers in the UK have ranged from Britagne – combining the words Britannia and Champagne – to Merret, in honour of English scientist Dr Christopher Merret, who was the first person to document the deliberate addition of sugar to produce sparkling wine. 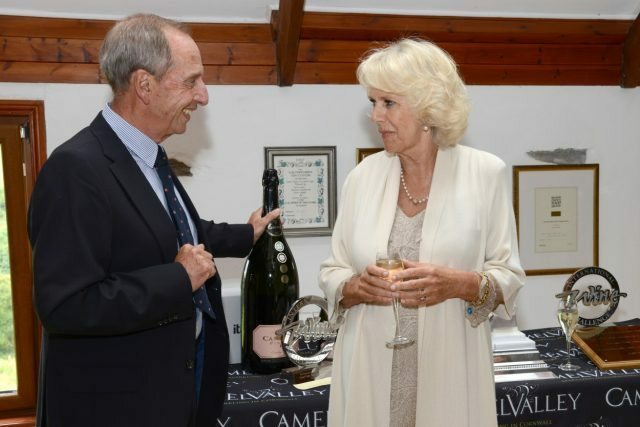 However, as yet, no-one has been able to agree on one name to register, even though The Duchess of Cornwall, who is president of the UKVA, has commented that a new name needs to be found to better describe English sparkling wine. Finally, it should be noted that the term ‘British Wine’ refers to wine made in Great Britain from imported grape juice concentrate, while ‘English Wine’ and ‘Welsh Wine’ are the protected terms for wine made and grown in England and Wales respectively. I remember suggesting the name “Brit Fizz” to Julia Trustram-Eve at English Wine Producers 2 or 3 years ago. A bit more snappy, and recalling “Brit Pop”. Which is, unfortunately, one of the best arguments against it. Who wants to be associated with a fleeting moment from the previous century and Liam Gallagher? have always thought that the expression ‘Bryttania Fizz’ would be more appropriate than ‘British Fizz’ as the word originates from the latin ‘Britanniae’ (when, more or less, all the isles were inhabited by Celtic tribes). Many within the Celtic nations would undoubtedly object to the term ‘British’ as recent expressions of nationalism attest to. ‘Brit Fizz’ I’m not sure about as the ‘Brit Pop’ movement lasted, perhaps, some 10 years. Hopefully ‘Bryttania Fizz’ will stick around for a lot longer! Picking up from my brother Andy Husain’s comments above, may I suggest the term ‘Bryttania Bubbles’ as a slight improvement on ‘Bryttania Fizz’. In these uncertain times perhaps we need an uplifting message! Nobody will agree on a common (i.e. universal) name for ESW and the larger producers will definitely not use it. It’s fun pretending that it will catch on, but it won’t. The best argument for it that I’ve heard so far is that it’ll prevent those with no connection whatsoever to the English / Welsh industries from picking up the term for their own use. Thanks for getting it EBGB. It is about protecting the name for Traditional method sparkling wine made from grapes grown in Great Britain, so that it cant be made from imported materials, or by carbonation. The overall objective is great. Having one category name is undoubtedly powerful. The name Prosecco has helped a lot in carving out a distinctive niche this area in what would otherwise have been called sparkling wine. However British Fizz doesn’t really reflect the premium position which these wines deserve. It sounds on a par with Shandy. I would venture to suggest Britspark or Britsparkle. Don’t faff about trying to cobble quality out pretention Just call it what we call even the most expensive bottles …… ‘Fizz’ or ‘Bubbly’ preceded by the growers name. If it tastes good the cash will come in …. which is what it’s about really! !